Gabby’s Paper on Chick Defense Accepted for Publication! 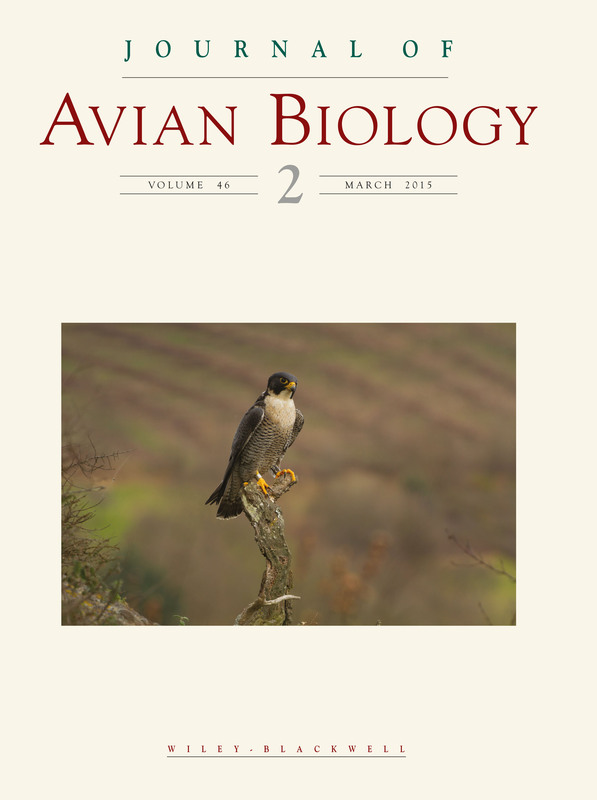 Sorry to trouble you with posts on back to back days, but we just got good news from the Journal of Avian Biology. A paper by Gabby Jukkala and me that describes chick defense of loon parents towards decoys has just been granted final acceptance. We are delighted, because we have forged our way through numerous revisions of this paper over the past year or so. It is nice to see that our labors were not in vain. In fact, the struggle to get this manuscript published is a good illustration of how peer review can lead to new perspectives and discoveries. The paper quantifies the defensive responses of parents to a decoy of an adult intruder; intruders attack and sometimes even kill small chicks. Gabby and I had been able to document that parents of small chicks (0 to 2 weeks) remain near them when a decoy is placed nearby (apparently to ward off surprise underwater attacks), whereas parents of older chicks (4 weeks+) confront the artificial intruder. But in response to reviewer comments, we sharpened our analyses and discovered two more behavioral patterns. While we had long known that males are especially apt to yodel when they have small chicks, we learned through this improved analysis that males with TWO chicks are four times as likely to yodel as males defending a SINGLE chick. This find suggests that males increase parental care in response to the value of the chicks. In addition, we noted that males are more than twice as likely to penguin dance in defense of their chicks as females. 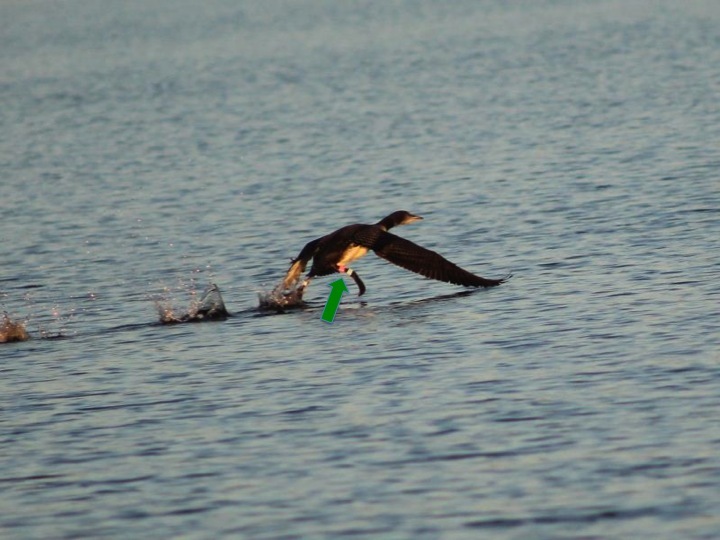 In short, our new paper clarifies our picture of chick defense in loons. Males shoulder a disproportionate share of the burden for chick defense, as we document. Males spend far more time with chicks than do females, yodel at intruders (which females cannot do), and penguin dance much more often than females do. Moreover, male behavior is not mindless, all-out aggression. Indeed, it is nuanced, as males’ toughness towards intruders is combined with a cold calculation of how they can best maximize their Darwinian fitness. Black flies have a terrible beauty. From a distance, they are merely pests, which we must tolerate for a few weeks each year. Up close, they are carefully crafted machines with specialized sensory capabilities and sharp tools sculpted to pierce the skin of mammals and birds and extract the blood they require to nourish their eggs. You have to respect them from the standpoint of evolutionary design. Yet I spend little time admiring these creatures. 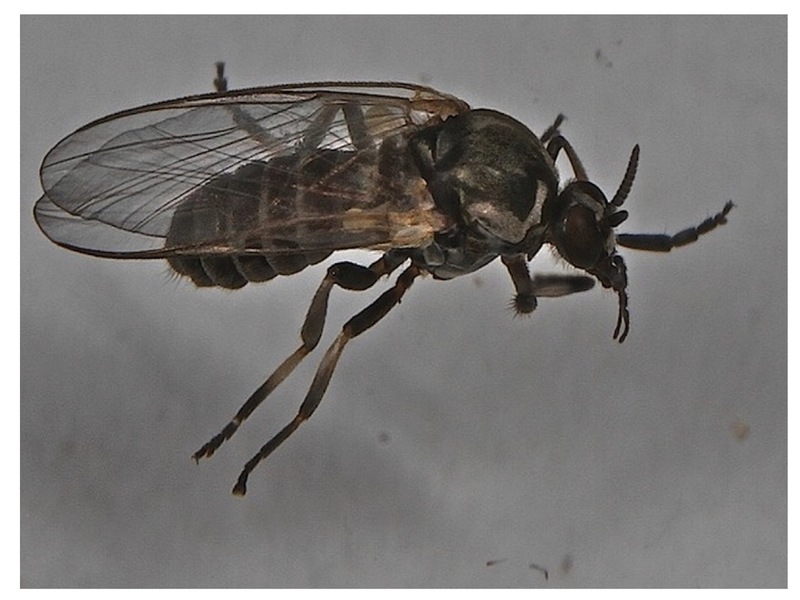 Indeed, I dread the two-week period in early May when adult female black flies (Simulium annulus) emerge in vast numbers and descend upon loons. Black flies render each day a trial for loons, which are trying to locate nest sites, mate, build nests and prepare themselves for four weeks of joint incubation. 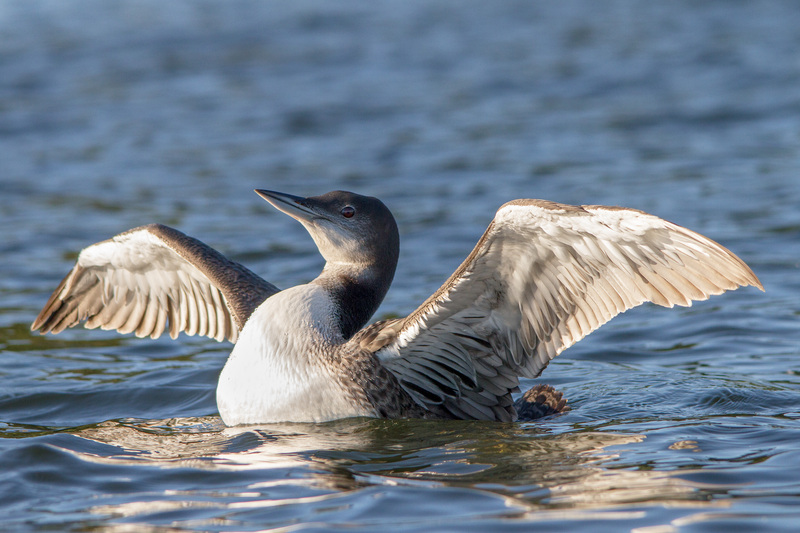 Hounded by flies throughout daylight hours when they are above water, loons drop their normal routine and begin to dive incessantly to minimize blood lost to the flies. Breeding pairs that have completed nests and laid eggs are often forced to abandon efforts to incubate them owing to the relentless insects. In the past several days, fly populations have spiked, and loon pairs are now suspending their breeding efforts for the moment and simply ditching the flies. 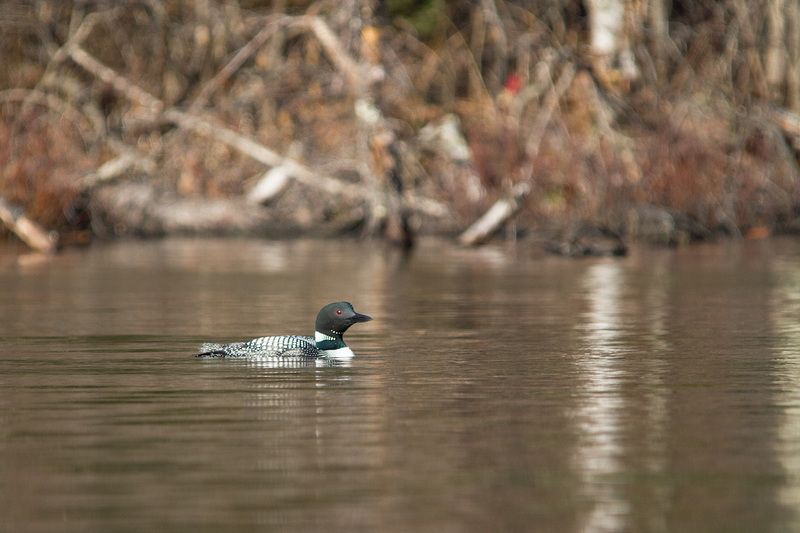 We hope that loons’ nesting efforts are not so closely synchronized with fly emergence this year as they were last, when black flies reduced loon breeding success dramatically. 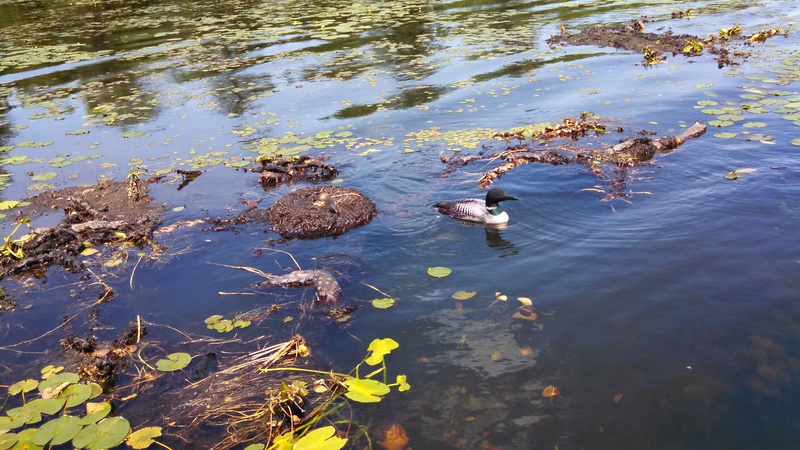 If this is a typical year, a small percentage of loon pairs (say, 10-20%) will abandon their eggs on account of the flies, but many more pairs will persevere in spite of the pests. So our hopes for a banner year of chick production are, as yet, intact. Although their travails pale in comparison to what loons face, even loon researchers are impacted by black flies. Eric, Joel, and Chris are in the final stages of covering the study lakes for the first time. Since they are trying to observe leg bands of loons that are diving constantly to avoid flies, the LP team will confront a steep challenge in the next few weeks. I hope they are up to it! It is easy for me to say, I suppose, because I am sitting here in southern California in my shorts and t-shirt, wondering only if we have enough lemonade to survive the day (and enough water to make lemonade)! Still, I think most of us can agree that the season is beginning to turn. This week’s highs in Oneida County will be in the 60s, which should take care of most or all of the remaining ice on the lakes, especially with the help of the wind. After a rather brutal winter, we have an ice-out that is about a week earlier than average. Early iceout created an odd spectacle on many lakes this week past: open water devoid of loons. To be sure, breeding pairs are trickling back. Joel Flory has confirmed that both members of the breeding pair on Manson Lake have returned. Lake residents have spotted a pair on Lake Mildred and one of two pair members on Sherry. Linda Grenzer reports that “Clune”, the male on Muskellunge Lake, returned on Friday for the first time, although his long-time mate, “Honey”, has not shown up, and he is currently frolicking with a new female (see Linda’s photo, above) that we banded as a chick in 2004 on Soo Lake, Linda reports. (We are not judging!) Why would territory owners leave their lakes undefended, especially at a time when many adult loons without territories are on the prowl, anxious to seize any vacant lake? The answer is simple. Weather changes rapidly. As migrants that must fly hundreds of miles between the wintering and breeding grounds, loons face a meteorological puzzle. If they molt their feathers and migrate too early to the breeding grounds, they will encounter wintry conditions and uninhabitable frozen lakes on arrival, struggle to find enough food on open water along rivers, and ultimately settle on their breeding lake in poor condition. They will then be at risk for losing their territory to a fitter, stronger usurper who times his or her arrival better and remains in better condition. If, on the other hand, they wait too long to migrate, they might return to find a squatter established on their territory. In such cases, a territory owner would have to battle the squatter to reassert itself as owner. In short, gauging when to return to the lake you own is an inexact business for a territorial loon. We can understand why they might often arrive a bit too early or too late. So we must be sympathetic about the pitfalls of long-term planning and content with a steady trickle of returning loons. Don’t worry. Territorial loons have evolved a sound set of strategies for coping with fluctuating weather conditions — and interlopers. We expect to see most of them re-established on territories within a week. I will keep you posted! After the black fly debacle in recent weeks, we were all ready for some good news. Indeed, most territorial pairs had shaken off the flies and gotten back to the business of reproduction. Good tidings seemed the order of the day. Yesterday, Al Schwoegler of West Horsehead Lake called with a thrilling and unexpected report: the eggs laid by the pair, which they had left unattended for many long hours on several days because of the torment of black flies, had begun to hatch! At first neither Al nor I could believe that the eggs were viable. As Al described the behavior of the female on the nest — who has reared a whopping 19 chicks to fledging since 1996, when she was first banded — we gradually let ourselves believe that the impossible had occurred. But our positive feelings were dashed suddenly by the cruel realities of loon territorial behavior. You see, the last few weeks at West Horsehead have been marked by frequent territorial intrusion. At the very time that the pair was trying to recover from the onslaught of biting insects, the male owner was facing repeated challenges for his position. Finally, by yesterday, both Al and Sally Yannuzzi of my team confirmed that male ownership had passed from the 14 year-old male hatched on Alva Lake who had resided on the lake for most of the past decade to a 9 year-old upstart from Harrison Lake in Lincoln County. The new male, confident in his new position, spent much of the morning resting and foraging near the nest, while the female patiently sat on the eggs. Finally, the female slid off of the nest into the water, revealing a newly hatched chick and second egg, which was on the brink of hatching. Alas, the new male behaved as animals typically do when confronted with helpless young that are not their genetic offspring: he quickly pecked the chick to death as its mother looked on helplessly. The celebration of an unexpected hatch gave way to a wake for a young loon doomed by territorial usurpation. Al took this photo of the female, still mildly protective of her nest containing the dead and unhatched chicks. (Shortly after the photo was taken, the female left the nest to forage with her new mate, with whom she might still renest.) Sorry for the unpleasant photo and description. But there is a valuable lesson here. 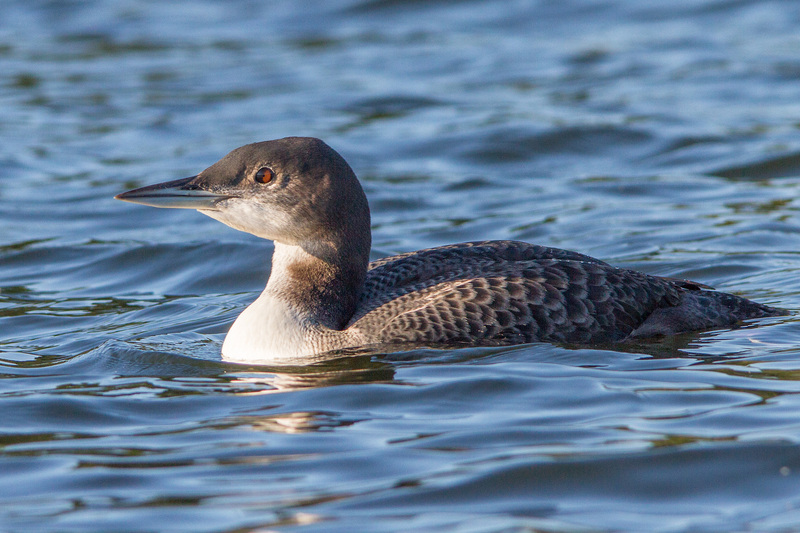 Loons, like lions and langurs and mice and water bugs, behave so as to promote their own reproduction. Despite the ugliness of this episode, we can hardly hold it against the 9 year-old that he is looking to produce his own biological offspring — before a new usurper comes along and shows him the exit.